I recently had a chance to visit the National Fan Museum that’s just over in the next town. It’s a wonderful place full of all types of wondrous methods for moving air around. If you’ve ever thought “Gosh, what are there like 3 types of fans?” well then, you’d get a real surprise here. You’ve got your standard bladed fans, both stationary and oscillating, ceiling fans, computer fans, squirrel cage fans (even wildlife likes to stay cool), ventilation fans, those giant fans you find in action movies, and a whole lot of others. It was a refreshing experience, but not a good place to wear a hat because it’s a bit windy in there. One fact the knowledgeable tour guide gave us was that each person has some sort of interaction with a fan for at least 61 hours, 38 minutes and 44 seconds per week. That’s an astounding figure! 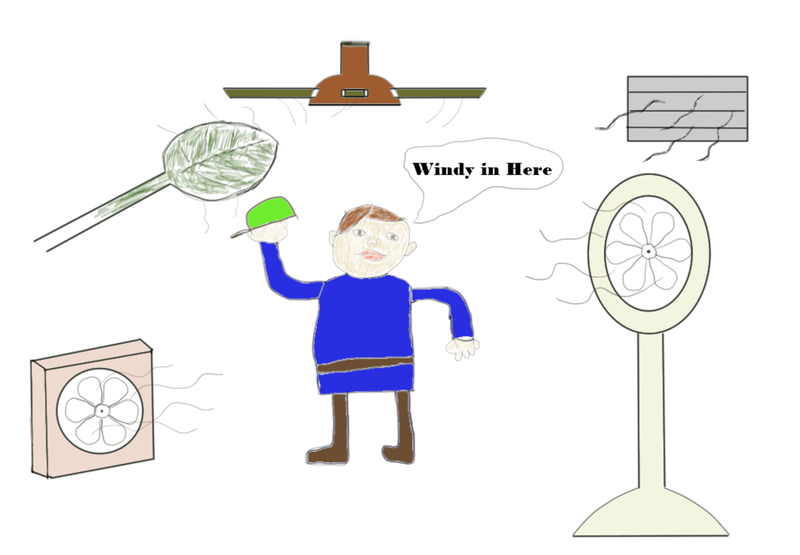 Who knew that these innocuous providers of ventilation played such a large part in our lives. We should all take a deep breath and offer thanks that they exist and keep us well supplied with fresh air and a cooling breeze. On the drive home I pondered that number, 61:38.44. Stray thoughts were blowing around my mind. Something was odd here. It is highly specific, as in down to the second. How could someone have calculated it? Numbers like that don’t just come in on the breeze. No survey could reach such a level of detail. There aren’t published statistics around this. Where did it come from? In all likelihood, this is a case of Fake Precision. There is no conceivable way to produce this number. But, stated this way it sounds important. Hearing this number gives you the impression a team did years of research to reach such level of accuracy. In reality, they probably just made it up. Perhaps the best they could find was that people use some kind of fan for 45-70 hours per week and then just picked a number in that range. At least their number is in that range, so it’s OK, right? No, it isn’t. Fake precision can lead us to think there is more evidence behind a claim than actually exits. Marketers use this to influence purchasing decisions. As an example, in a recent survey people were asked to choose between purple and red hard candies. 56.24% of the people chose the red while only 43.76 picked purple making red the most popular flavor. You should immediate wonder how good their survey was to achieve an accuracy of 1/100 of a percent. Even if we assume the number of correct, is it even important? They could have just said 56% chose red candies, or slightly over half chose red. Of course, in the last two instances the statement doesn’t sound as strong. Another type of false precision exists in the world of sports. Most sports agencies and followers are big fans of measuring everything and analyzing all the numbers. American baseball has a lot of games per season and you might want to compare two teams: team A is the powerhouse having won 61 out of 100 games while team B is a distant second with 59 wins out of 100. Sure, team A has the most wins, but it’s only a difference of two games out of a hundred, hardly a commanding lead. In all sports you see tons of measures, some of which are calculated with a lot of precision, that then compare players and teams. Two football players (American or European, doesn’t matter here) can sprint the length of the field. Their times are 0.2 seconds apart. One is arguably faster, but 0.2 seconds is a small amount of time and you can’t say that one player dominates another in a speed competition. Don’t instantly toss out all measures of precision. The world of science is often requires achieving accurate measurements and statistics. Machining and making parts requires tight tolerances – a few thousandths of an inch can make the different between a part that fits and one that jams. If the pistons in your cars engine were machined using only 1 percentage point of precision its likely the car wouldn’t run for long. When you see numbers, ask yourself if they seem overly precise for what they reportedly measure. Someone may intend to sway you with an accurate sounding number that really isn’t. You might even notice that two numbers are much closer together than a description of them would have you think. A little critical thinking can keep you from getting blown away by all the numbers.